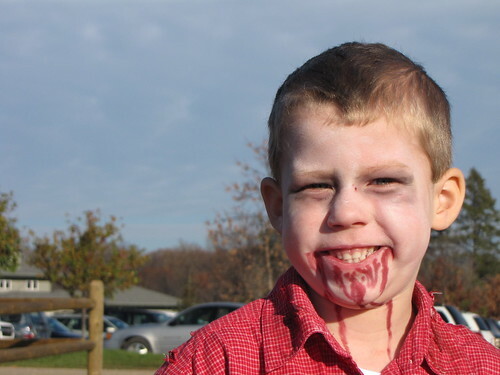 Benjamin rocked his Zombie costume this Halloween. 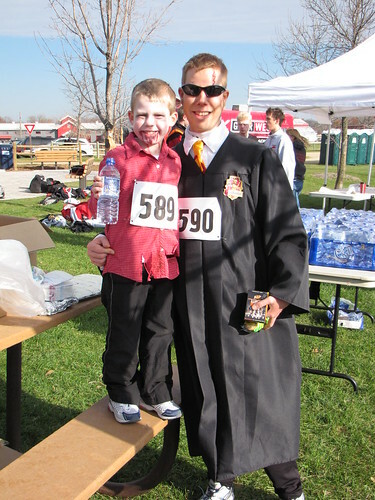 He even wore it while running his very first 5k (3 mile) race this past weekend. He is certainly taking after his Daddy in the running world and just loves running races. As a parent, there is no better feeling in the world than watching your child feel so incredibly proud of a major accomplishment. This is exactly what Mike and I experienced as they crossed the finish line together. He is already talking about his next race -- a true runner indeed!